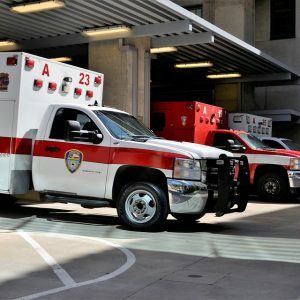 Austin, TX (April 11, 2019) – Around 3:07 a.m., April 10, Austin-Travis County EMS responded to a reported workplace injury at the Austin-Bergstrom International Airport. According to EMS, three male workers, in their 30s to 40s, were attempting to clean a grease trap at the facility when they fell into the 8-10-foot hole. Two employees were able to get out on their own, but the third worker went into cardiac arrest while trying. Two workers were transported with serious injuries to South Austin Medical Center. The third employee was transported to the hospital with critical and life-threatening injuries. We hope these three individuals are able to make full recoveries from the injuries sustained in this horrific incident. Our thoughts are with them at this time. Every year, over 500 innocent workers are injured while on the job throughout Texas. Unfortunately, those injured are often forced to deal with excruciating pain and go several days or weeks without pay so they can recover from their injuries. Victims who are forced out of work due to their injuries often face devastating financial hardships. For this reason, those injured should contact a workplace accident attorney in Texas as soon as possible. Our Texas accident injury lawyers at the Benton Law Firm work diligently to ensure those harmed get the justice and compensation they deserve. For many years, our skilled and knowledgeable Texas personal injury attorneys have helped victims get the maximum amount of compensation for their claims. Contact us today at (214) 219-4878 to see how we can help you.